Home Light Art Real-Time Light Painting! 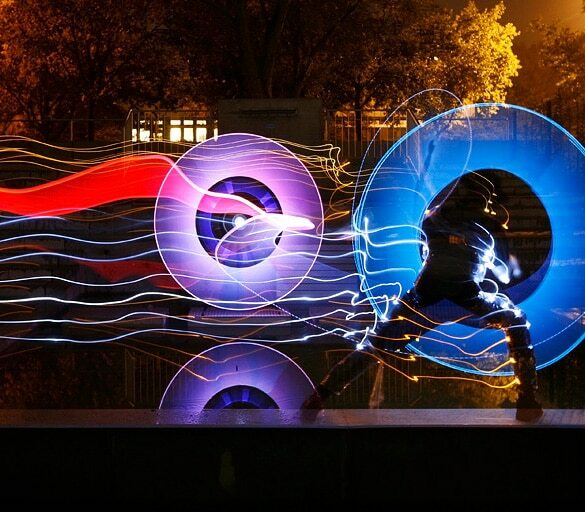 Earlier this year, the light painters JanLeonardo WÃ¶llert and Anton Julmy used a Real Time Light Painting program. It works for both live performance and video production! On a basic level, this video is well worth a watch because it shows how many of the more intricate light painting photographs are created. However, when you get in to what the program is doing and its applications — the video is BEYOND FASCINATING! Image created by JanLeonardo WÃ¶llert. Next articleSan Francisco Bay Bridge Lightning!